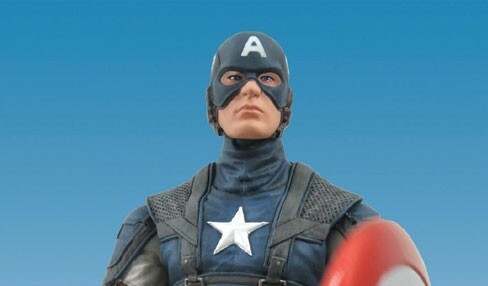 Today we get a first look at the Marvel Select version of Captain America: The First Avenger movie figure from Diamond Select Toys. A Diamond Select Release! Sculpted by Gentle Giant Studios! 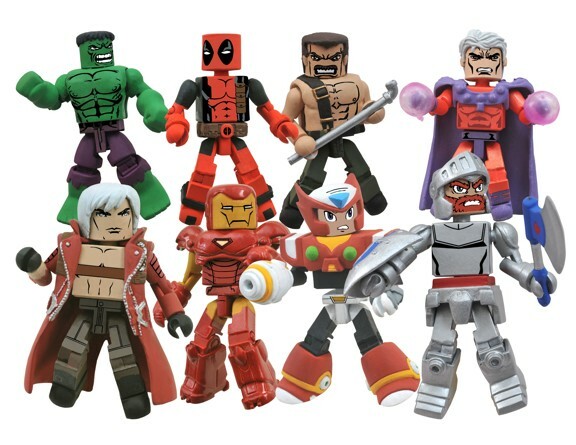 The best-selling Marvel Select line is proud to add another of the Marvel movie franchises to its lineup! This time the movie Captain America, The First Avenger makes its Marvel Select debut! 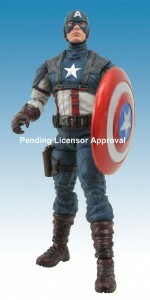 Based on the likeness of actor Chris Evans from the upcoming summer 2011 blockbuster, this movie-accurate Captain America figure includes Marvel Select’s standard 16 points of articulation. As an added bonus, the figure comes packaged with part of a display stand that can be combined with the base from the Red Skull movie figure (sold separately) to form a diorama, recreating a key scene from the movie! Look for it to be released by May 2011 with a Suggested Retail Price of $21.99.